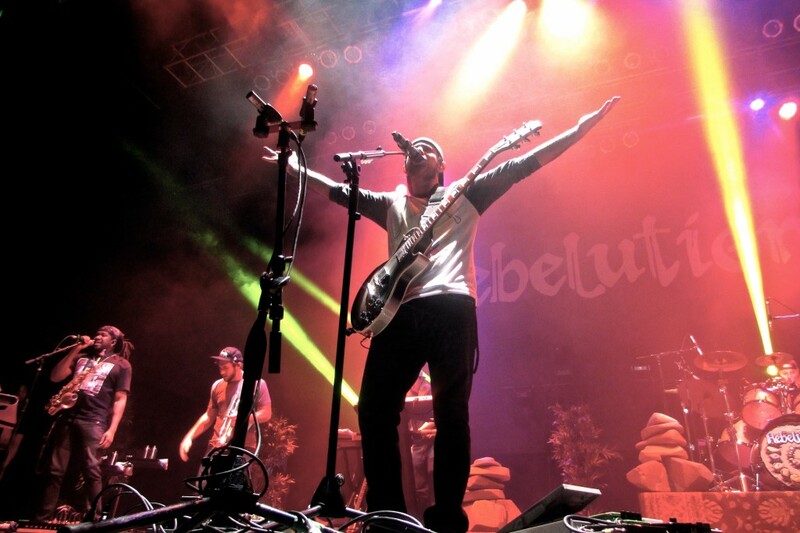 At promptly seven pm the doors at the House of Blues opened in to welcome a mass of eager Rebelution fans to their much anticipated, sold out show. As always the venue, packed with chattering, bouncing fans awaiting the band provided its relaxed, intimate vibes. 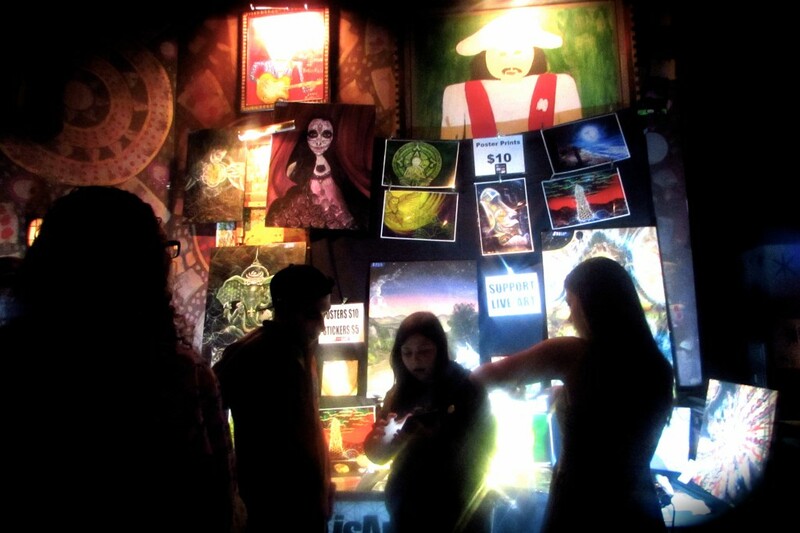 Dreads, tribal sweaters, and even pockets of sorority girls composed the motley audience. After a few pictures, bathroom and snack breaks we took to buzzing crowed which slowly grew as the opening band performed. New Zealand based band, Katchafire, warmed up the audience with their classic reggae sound, fantastic energy as well as their much appreciated cover of Marley’s Three Little Birds which resulted in a deluge of dancing, and a sing along that prepped up the crowd for what was yet to come. 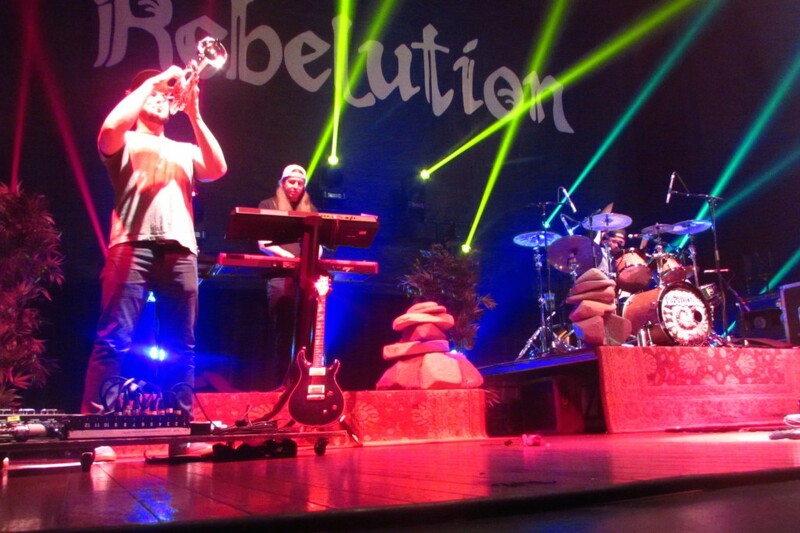 Thankfully Rebelution didn’t leave their fans waiting long. The band came on at around 9 PM to the sound of anxious, excited fans. Stacks of pebbles, and potted plants were placed around the stage in decoration and as soon as the guys stepped out a welcoming roar from the audience was heard as people slowly started coming closer and closer together to the stage. Their set began in a flurry of their signature reggae sound mixed with exciting trumpets, steady guitar syncopations and dulcet sounding drums. 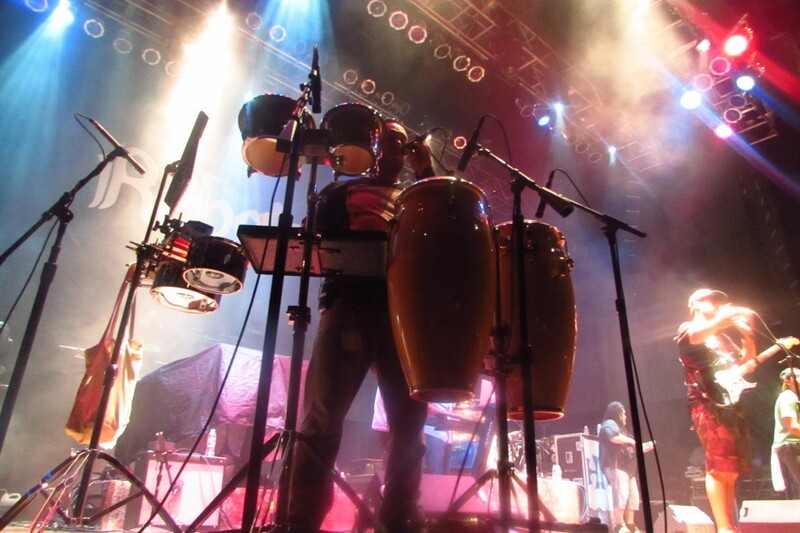 Although it was quite a chilly night out, the indoor reggae vibes, the closely pressed bodies of the audience and the mellow presence of the band created warmth unlike any other. The band played a variety of favorites from “Safe and Sound”, “Attention Span” and “Green to Black.” The atmosphere was great to say the least, and the show was very well performed with many crazy trumpet solos, stellar reggae drumbeats and familiar heavy bass rhythms. To say it was a great way to start off the New Year would be an understatement. Previous Young Thug Takes Over The Stage at Warehouse Live… Literally!